Looking for a gift idea for that special someone? The answer is right in your kitchen! 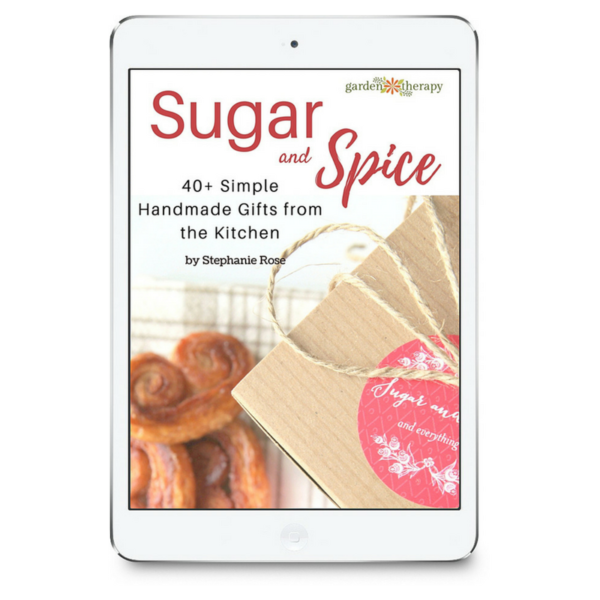 Sugar & Spice: Handmade Gifts from the Kitchen is a comprehensive idea book that includes over 40 simple handmade gifts to cook up and give away. There are five chapters: Herbs & Spices, Love in a Mason Jar, Sips, Oven-Baked Goodness, and ‘Tis the Season with full color photos of each project to inspire you. The recipes are simple and can be done by the most novice chef, with classic and creative packaging. Each and every project has unique and decorative examples of wrapping or presenting the gifts included. Whether you’re looking for a housewarming, holiday, teacher, birthday, hostess, or other gift, there is sure to be an idea that resonates for you and is perfect for your lucky recipient(s) inside Sugar & Spice: Handmade Gifts from the Kitchen! 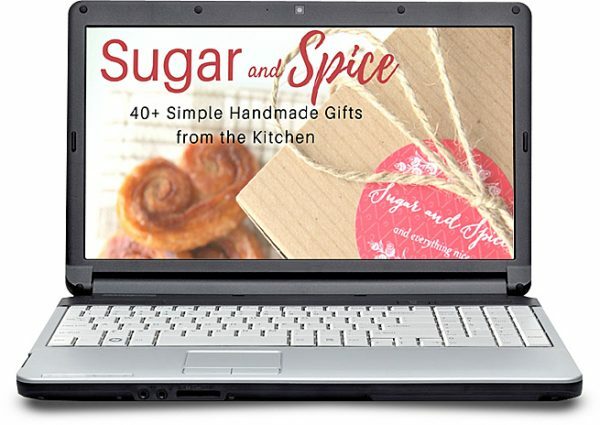 Inside Sugar & Spice: Handmade Gifts from the Kitchen, you will find a ton of wonderful homemade gifts that you can make with simple ingredients from your own kitchen. Sugar & Spice: Handmade Gifts from the Kitchen is an eBook delivered in PDF format. You will get an email with a link to download your book on the release date and you can then instantly read it on your computer, smart phone, or tablet. You will need Adobe Reader to view it on your computer, which you can download for free here if you don’t have it yet. If you choose to, you can also print the book and keep it as a hard copy, although the links in the book can only be accessed through the digital copy (so make sure you hang onto that! ).